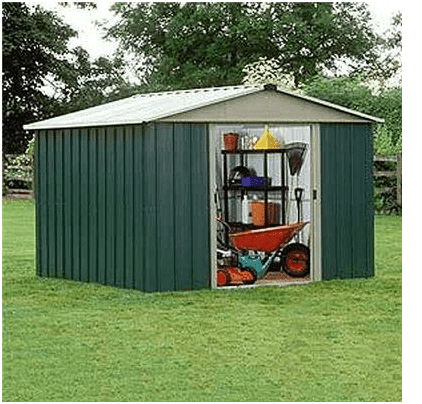 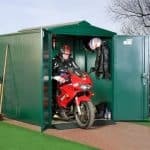 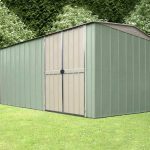 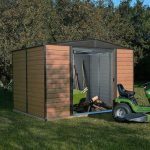 Gardeners who are looking for a large and practical storage solution will be delighted with this sturdy, secure and lockable shed. 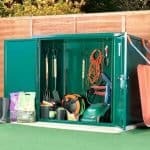 It has double doors which conveniently slide maximising on space for transporting items inside and out and the doors are lockable for complete security. 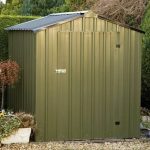 Inside there is ample storage space and it is manufactured from galvanised steel so it is rustproof and weatherproof too. 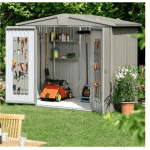 Built to last and with handsome good looks it will look superb in any garden.